I write what I love to read: inspirational historical romances with hunky heroes and spunky heroines who embody the spirit and resourcefulness of those who settled the West. My debut novel, A Bride Opens Shop in El Dorado, California, set in the heart of the Gold Country where I live, will be released in July 2012. When my fingers aren’t hovering over my keyboard, I enjoy strolling past stately Victorian houses in my historic town, burying my nose in reference books as I unearth interesting facts to include in my stories, and interacting with other romance readers. My favorite places to visit are my fictional worlds, the Coach factory outlet store, and Taco Bell. 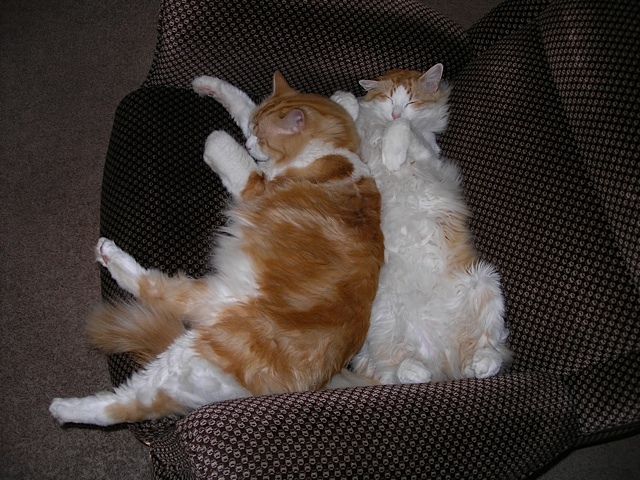 My writing buddies: Dandy and Sandy.